Learning how to care for plants is the best way to learn how to grow healthy plants. These six easy tips for house plant care are a great starting point. Each plant has its own individual needs so read the care tags carefully, follow a plant maintenance schedule and your houseplants are sure to flourish. 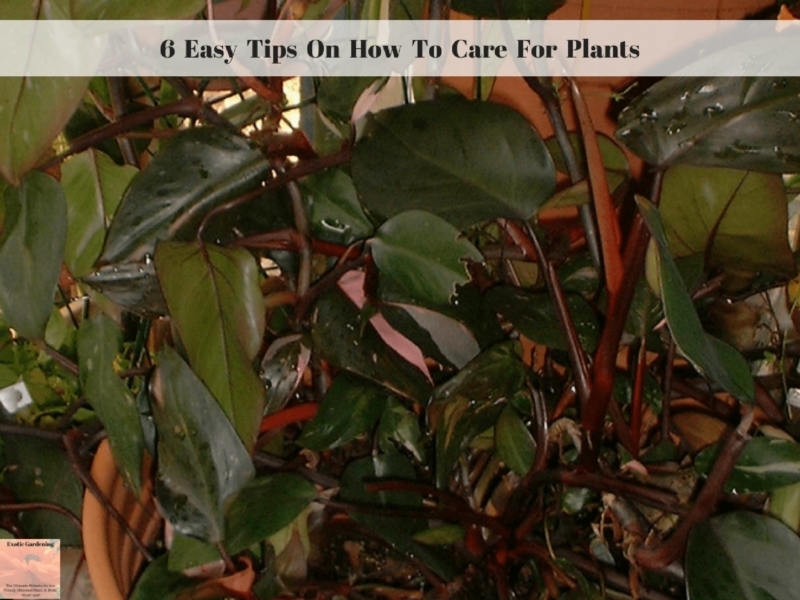 In addition to these six easy plant care tips, there are links to products I recommend from companies I have a referral relationship with. I will be compensated if you make a purchase after clicking on my links. A watering can is a must-have in every home and garden where live plants are growing. It is recommended that you purchase one with a narrow spout to ensure adequate watering. However, even with adequate watering plants can receive too much or two little water depending on a number of factors such as soil temperature, root mass and watering frequency, so the finger test may come in handy. Insert your index finger into the soil near the center of the pot up to the first joint. If you feel that the soil is damp, don’t water it. If the soil is dry, go ahead and give the plant a through watering. Most houseplants unless they are from a rainforest region do not need to sit in water so go ahead and use saucers under their pots, but dump the excess water out of the saucer 10 to 15 minutes after you water the plant. Foliage plants prefer a fertilizer that is high in nitrogen. For flowering plants a phosphorus-rich organic fertilizer is needed. Fertilizers such as the slow release ones can be mixed with compost and applied as a top dressing or mixed right into the soil. However, some plants like cacti and orchids need special fertilizers at specific times such as when they are in flower. Feed plants during height of their active growth. I prefer to not fertilize my plants at all during their rest period. For most plants this is the winter months but there are exceptions. Plants like the Christmas cactus or amaryllis need fertilizer during the winter months because this is their normal bloom season. Plants like Sanseveria and Aspidistra can handle darker areas of your home, so they can be placed away from a window. Spider plants need semi-shade. 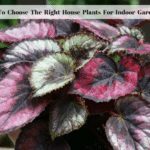 You can put plants like these near a window that does or does not get sunlight but it is best if the windows do not get direct sunlight as this could burn your plants delicate leaves. Most houseplants have tags in them that say how much light they need. In the event your houseplant does not have this tag look the plant up online. In the event you do not know the plants name, here are some things to watch for to let you know if your plant is receiving the correct amount of light. Brown, burnt looking spots on the leaves often indicate too much light – or too little humidity in some cases. Plants whose leaves look more white than green are not getting enough sunlight unless the plant is supposed to have light colored leaves. Houseplants can survive in temperatures a little bit higher than 15 – 25 Celius or 55 – 75 Fahrenheit. Plants prefer warmer temperatures during the day and cooler temperatures at night. I try to keep my house plants room temperature around 65 degrees Fahrenheit in the daytime and 50 degrees fahrenheit at night during the winter months and they do fine. Again, look at the tag if at all possible and see what temperature the plant prefers. Keep in mind, this is only a guideline. The key is to make sure to always keep your plants soil temperature at or above the minimum temperature requirements. A specialized heat mat for plants can help with this. 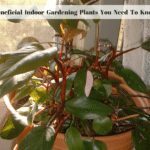 Some houseplants require a humid environment. One tip to maximize humidity is to put the pot inside a larger pot and fill in the gaps with stones or compost to keep in the moisture. Another tip is to place the pot in a saucer filled with pebbles covered in water. Make sure the water level is low enough that the pot is not sitting in water but rather on the pebbles. Plants are capable of creating their own climate if grouped together. If you want, you can spray them with water once or twice a day depending on the day’s temperature or run a humidifier in the room your plants are in but be sure to position it as close to your plants as possible. Plants require repotting for optimum growth but be sure you know the name of your plant as some plants must be repotted without root disturbance. Another issue may be that the plants’ root system is too small to really need potted up into a larger container. One way to check if your plant needs repotting is to turn it upside down. Tap the pot to release the plant and check its roots. If roots are all you see, then repot. For plants that do not like root disturbance, allow the soil to dry slightly so it does not fall off the roots when you replant. This can be tricky but I have successfully done it – and you can too. You just need to learn the right way to care for your plants and in turn, you’ll reap the benefits. You will not only have a garden that can add to your house’s beauty you also learn how to respect and nurture life in its varied forms. 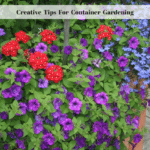 While this article did focus on houseplants, the tips also apply to garden plants. These are the basics of plant care.